Meanwhile lets just say that we are proud OnTravel Newsroom contributed a whooping 243 entries. 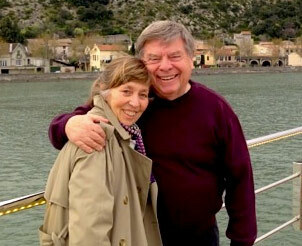 The OnTravel Club Room is your place to connect with Paul, Elizabeth, the crew and the travel community. Whether you’re on vacation or simply enjoying a day out with the kids, Amber Alert’s My Child ID can give parents peace of mind when their child goes missing. Singapore has moving away from it’s “squeaky clean” image and towards lavish hotels and casinos. Elizabeth takes us behind the scenes of King Kong’s return in a 3D 360° attraction at Universal Studios Hollywood this summer. With 2010 marking the 10th anniversary of Amtrak’s Pacific Surfliner train service, there’s not better way to see the California Coast. For the Traveler, there can be no better way to spend a Friday morning, than with the 10 Great section of USA Today. Holland America’s CEO Stein Kruse takes a stand against burdensome regulations and taxation for cruise travelers. NEVER OFFEND your host destination! You’d be surprised how easy it is to do if you’re not thinking!